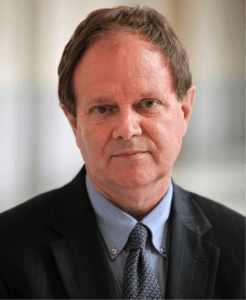 It is with pleasure we announce James F. Hollifield as a newly appointed Hunt Institute Fellow. The Hunt Institute Fellows are appointed for their expertise and demonstrated excellence in their fields. During their two-year tenure, they will collaborate on projects and contribute to the endeavors of the Institute. James F. Hollifield is Professor in the Department of Political Science, and Director of the Tower Center at Southern Methodist University in Dallas, Texas, as well as a member of the New York Council on Foreign Relations and a Global Fellow at the Woodrow Wilson International Center in Washington, DC. Hollifield has served as an Advisor to various governments in North and South America, Europe, East Asia and the Middle East and Africa, as well as the United Nations, the World Bank, the Inter-American Development Bank (IDB), the OECD, the ILO, the IOM, the EU, and other international organizations. He currently chairs working groups at the World Bank and the IDB and serves on the International Advisory Board of the National Center for Competence in Research (NCCR for Migration and Mobility) of the Swiss National Science Foundation. He has been the recipient of grants from private corporations and foundations as well as government agencies, including the German Marshall Fund of the United States, the Social Science Research Council, the Sloan Foundation, the Owens Foundation, the Raytheon Company, and the National Science Foundation. His major books include Immigrants, Markets and States (Harvard), L’Immigration et l’Etat Nation: à la recherche d’un modèle national (L’Harmattan), Pathways to Democracy: The Political Economy of Democratic Transitions (with Calvin Jillson, Routledge), Migration, Trade and Development (with Pia Orrenius and Thomas Osang, Federal Reserve Bank of Dallas), Herausforderung Migration—Perspektiven der vergleichenden Politikwissenschaft (with Uwe Hunger, Lit Verlag), Migration Theory (with Caroline Brettell, Routledge, now it its 3rd edition), and Controlling Immigration ( with Philip Martin and Pia Orrenius, Stanford, also in its 3rd edition). His current book projects are The Migration State (Harvard)—a study of how states manage international migration for strategic gains—and International Political Economy: History, Theory and Policy (with Thomas Osang, Cambridge). He also has published numerous scientific articles and reports on the political economy of international migration and development. Hollifield was educated at Wake Forest College (BA with honors in politics and economics), and he studied at Sciences Po Grenoble and Paris (DEA in applied economics) before completing his PhD in political science at Duke University. In addition to SMU he has taught at Brandeis and Auburn, served as a Research Fellow at Harvard’s Center for European Studies and MIT’s Center for International Studies, and was appointed Director of Research at the CNRS and Sciences Po in Paris. He is a Fellow at the Center for US-Mexican Studies at the University of California at San Diego, at the Institut zur Zukunft der Arbeit (IZA) at the University of Bonn, and the Global Migration Centre at the Graduate Institute of International and Development Studies in Geneva. In 2015, he was named as a Public Policy Scholar at the Woodrow Wilson International Center for Scholars in Washington, DC and has continued his work there as a Global Fellow. In 2016, Hollifield received a Distinguished Scholar Award from the International Studies Association.